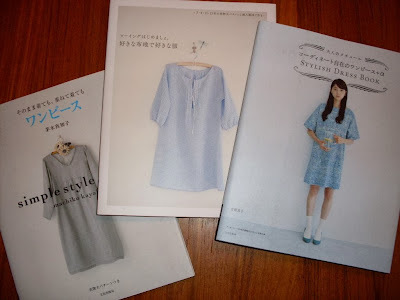 I bought these Japanese sewing books last week after a quick trip in to Kinokuniya. From left to right, Machiko Kayaki's Simple Style Dress, an untitled book that has 10 sewing lessons in it for different garments, and one of the Stylish Dress Book collections. So much sewing inspiration in all three books!